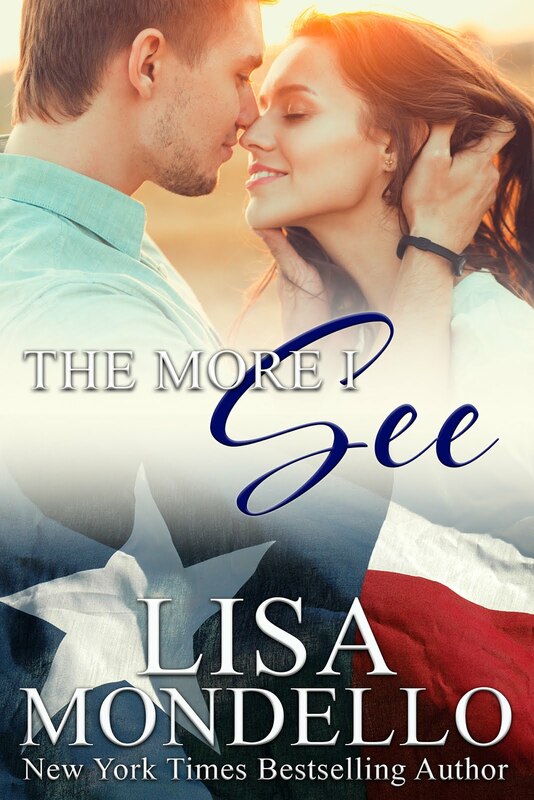 When Ruthie Carvalho finds an old birthday card with a marriage proposal scribbled on the back, she figures she's hit pay dirt and is destined to get her 35 year old daughter married. The trouble is, Ruthie can't stand Cara's boyfriend and Cara is just stubborn enough to push in the opposite direction of what her mother wants. When Devin Michaels gets a phone call from his old friend's mom, he knows Ruthie is up to something. But he's at a crossroad. It's been 17 years since he's seen Cara and memories of their soulful talks and walks on the beach make him long to reconnect. Going back to the seaside town of Westport Massachusetts to reconnect with Cara seems like just the thing to do. One look at Cara and the years seem to melt away. With a little help and “creative” planning from Ruthie, can these old friends become lovers and have a second chance at happiness? 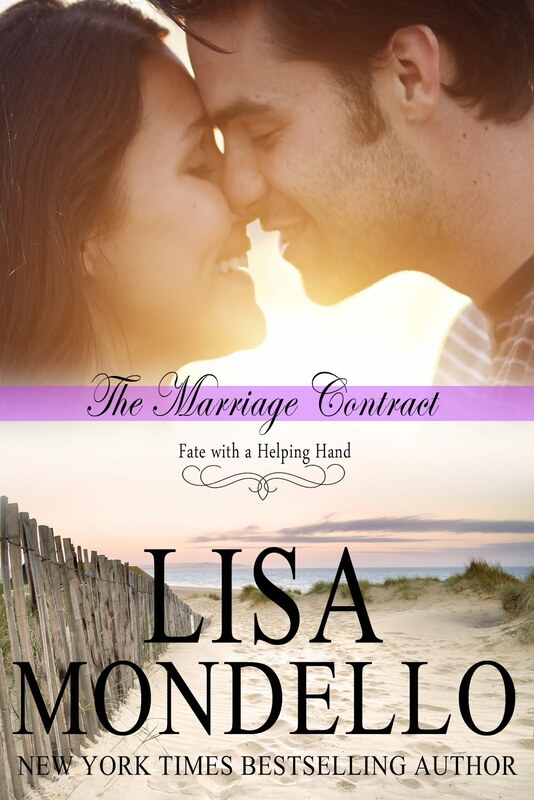 Purchase THE MARRIAGE CONTRACT now! Cara Cavarlho could think of a hundred places she wanted to be right now. This wasn't one of them. She tugged on the rope dangling above her head. A musty cloud of dust hit her in the face as the stairs leading to the attic of her parents' Westport home dropped, gaining her access. Gripping the splintered stairs, she began her ascent into the “black hole”, she so affectionately dubbed the attic in her childhood, with mixed emotion. Ever since her parents decided to sell the home she had grown up in and move to Florida with the senior league, she found herself becoming overwhelmed with emotion. Of course, her thirty-fifth birthday being right around the corner wasn't a big help. That her mother kept reminding her of her single, childless status only added to her emotional unrest. She yanked on the metal chain dangling above her head and light quickly spilled into the sweltering crawl space. “It's a furnace up here!” she called down, immediately feeling the cool air below bathe her warm face. Whose idea was it to delve into this black hole on a hot August afternoon? Certainly not mine! she fumed silently. On her hands and knees, she carefully crawled along the aged planks, feeling them bend under her weight. Aerobics twice a week and running three miles a day had her wearing the same size she had worn since college. With each creak of the aged floor boards, she was glad she’d taken pains to keep her figure trim. Despite the dim light, it was difficult to see. She squinted and tried to focus. Boxes. There were loads of them scattered Helter Skelter around her, tucked into corners they'd been placed in years ago and long since forgotten. The life she used to lead was lost up here. Why couldn't things ever remain the same...? “Just start with a few, dear. 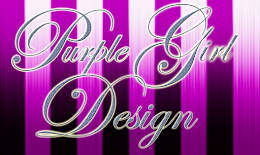 We can rummage through them first and price anything you want to include in the tag sale,” Ruthie suggested. “Sounds like a good idea. I'll come back up tomorrow morning before breakfast to get more. 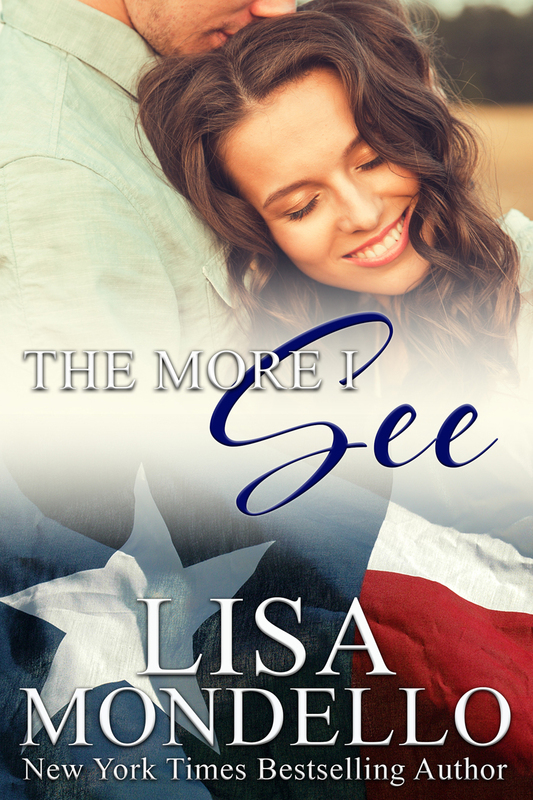 I can barely breathe up here now.” Cara's eyes roamed the piles of memories one last time. After choosing the five boxes closest to the hole and carefully lowering them to her mother, Cara descended to fresh air once again. She helped her mother drag the boxes down the stairs and out to the back porch of the beachfront home. Plopping the last one on the wrought iron patio table, she puffed her cheeks and slid the back of her hand across her sweated forehead. The sooner we get through this the better. Ruthie was the first to begin the unveiling and plunged into the first box while Cara poured both of them a tumbler of her mother’s homemade lemonade. After a few minutes of digging, Cara found her tension ease. While she'd been dreading the idea of unearthing old memories, she found the task easier once she delved in and became lost in them. The first box was filled with old Christmas ornaments and treasures she and her brother, Manny, had made in school when they were kids. A paper doll chain. An old wooden whale Manny had made in woodshop. The next box had old crochet blankets and booties from when they were babies. While Cara fingered the soft yarn of a baby afghan, Ruthie dove into the box filled with old yearbooks and newspaper clippings from Manny's athletic high school days. “You suppose Manny would want to keep any of these things?” Ruthie asked, picking up a yearbook and fanning the pages open. A candied piece of what looked like edible underwear fell to the floor boards by their feet. Ruthie retrieved the “article” and held it up in the air between her fingers. Cara laughed, remembering the gag gift Manny had given her years ago. It was harmless, but she knew her mother wouldn't find the truth so humorous. Cara sobered immediately, sucking in her cheeks to keep her laughter at bay. She knew her mother had a hard time remembering Manny as a normal everyday teenager before he'd left for the seminary. Now wasn’t the time to remind her. Ruthie sighed and reached across the table, patting Cara's hand. “You’ve been away for a while, honey. You'll see what I mean after a few days.” Cara turned her attention back to one of the boxes in front of her and pulled out a pair of white baby booties. “Oh, were these mine?” she crooned, examining the tiny booties. “No, dear. I made them for your children, just after you were born. Not that they'll ever be used,” Ruthie quipped under her breath. Oh, this vacation is going to be good, Cara thought. A full three weeks helping her parents get the house ready for sale, and listening to poor Ruthie dig about her lack of grandchildren, was going to be a slow, agonizing death. It was times like this she could throttle her brother for becoming a priest and dropping all the procreation pressure on her shoulders. “You were already naming my kids!? Omar?” She mouthed the name with disgust. Cara drew in a deep cleansing breath of salted sea air, wondering how she could have been born to this crazy family. This was going to be an extremely long three weeks. be single at age thirty-five. “I remember this.” The memories poured back one by one. She and Devin had just toasted her birthday. After sneaking out on her own birthday party, they sat on the concrete ledge of the watchtower at Gooseberry Point, watching the midnight moon, drinking cheap wine illegally, and toasting to their future success. She had been lamenting about Manny leaving for the seminary and the predicament he'd left her with regarding her mother's future grandchildren. If she dared to remain single—which, given her lofty career goals, she'd whole-heartedly planned to be at age thirty-five—Ruthie was sure to hound her for the rest of her life. Or at least until menopause, whichever came first. Devin joked that he would be chivalrous and rescue her from being eternally damned by her mother. What was nothing more than a little joke between two friends was now coming back to haunt her. “Devin always had a thing for you, you know.” Ruthie raised her eyebrows and shined her matchmaking smile. “Still is when you're single, dear,” Ruthie returned. Kids or not, back then they thought they knew everything. Most of all, what they wanted in life. Devin was going to take on the world as a lawyer. From the little bits and pieces she'd heard over the years from people back home, and news coverage on the tube of the highly publicized cases he'd won, he'd done just that, as a prominent Manhattan defense attorney. Winning one highly publicized case he'd taken straight out of law school, one that the prosecution as well as the world thought he'd lose hands down, had propelled him into the most exclusive law firm in Manhattan. It hadn't taken him long to make a name for himself and become a much sought after, multi-million dollar baby of law. Cara had her own plans in which marriage had no part. She had to admit pride in the fact that, like Devin, she'd reached the pre-set goals made that fateful summer. She had worked hard and become a home interiors expert, opening her own successful shop in the posh Back Bay area of Boston nearly ten years earlier. The heaviness of her mother's statement hit Cara hard. Especially in light of the feelings she'd been having of late. Forcing the thoughts away, she tossed out the usual response she used when her mother started this line of conversation. Even as she said the words, she knew it wasn’t true. She and Devin had been inseparable. Warmth spread from the center of her chest outward just thinking of their friendship. It had been a long time since she’d thought about Devin. Ruthie gasped. “Don’t be ridiculous! Devin would never forget you. If I know Devin, he’ll keep his word. 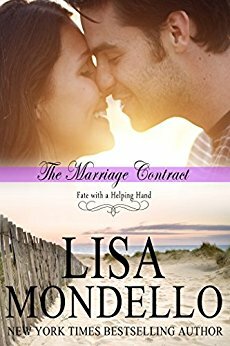 He’ll honor this marriage contract,” Ruthie continued, as if she were in her own world. The way her mother clutched the card, fanning herself from mid-day August heat, Cara knew this was only the beginning. These next three weeks were going to be the longest weeks of her entire life. 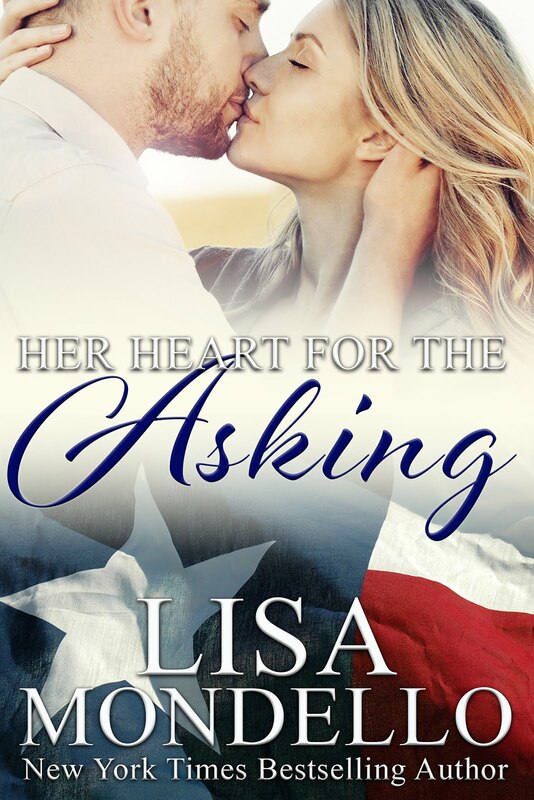 TEXAS HEARTS BOXED SET (BOOKS 1-3) is on sale!